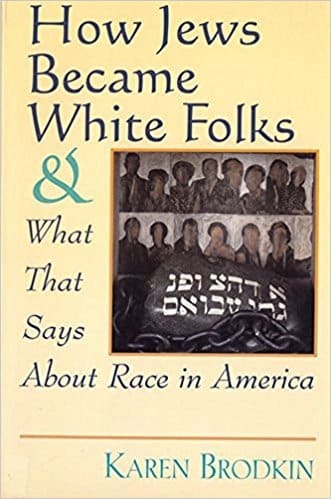 Karen Brodkin’s 1998 book, How Jews Became White Folks and What That Says About Race in America was a crucial entry in a genre of studies on whiteness as a process, or becoming white. Brodkin’s work goes well with The North’s Jim Crow by Andrew W. Kahrl in the New York Times (27 May 2018). Kahrl complements the process of becoming white by demonstrating what policing whiteness looks like in 2018. Before Brodkin published her book, she wrote a shorter version of her argument as “How Did Jews Become White Folks?” which appeared as a chapter in the 1994 book Race (edited by Steven Gregory and Roger Sanjek). I am using an edited version of that chapter for my Cultural Anthropology 2018 course, as this is what appears in the Reader for a Global Age edited by Kenneth Guest (page numbers refer to this edition). 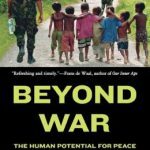 Brodkin discusses the “Euroraces” (2018, 118) or the idea that immigrants from southern and eastern Europe might not be as white as northern Europeans. These were exactly the populations Franz Boas, a founder of US anthropology, was measuring in his famous head shape studies of immigrants. “By the 1920s, scientific racism sanctified the notion that real Americans were white and real whites came from northwest Europe” (2018:119; we should add the caveat that while Irish immigrants were technically from northwest Europe, they were also often placed in a lower racialized category.). Brodkin discusses the Supreme Court case of Bhagat Singh Thind, a case also discussed in the third episode of Race, the Power of an Illusion. In fact, this third episode is a perfect complement to Brodkin’s chapter. Brodkin then discusses “Euroethnics into Whites” (2018:121). This occurred due to differential advantages in the GI bill (2018:123-24) and especially a suburbanization (2018, 125-26) funded by the racial discrimination of the Federal Housing Administration (again, this is nicely explored in episode 3 of Race, the Power of an Illusion). As white segregationists in the South were placing “whites only” signs in the windows of restaurants, in the North, more enlightened (or, rather, more savvy) white proprietors and public officials realized that rules restricting public spaces to local residents and the strict but selective enforcement of laws against things like disorderly conduct and loitering could be used to impose racial segregation. Most white Americans prefer to consign such naked acts of discrimination to a shameful past that we have supposedly overcome. But in light of these recent incidents, it would be more accurate to call the forms of Jim Crow that prevailed in the Northeast in the early- to mid-20th century the cutting edge in technologies of exclusion, a sign of things that were to come. It will take more than sensitivity-training sessions and the public shaming of racist, hypervigilant white women to dismantle today’s system of segregation. Limiting the power of white people to use the law to act out their vision of a “quality” life that excludes black people is a place to start. While Brodkin’s chapter connects us to the historical experience of becoming white, it ends without any sense of how this analysis might be useful in contemporary struggles. Kahrl’s piece points the way to necessary actions by drawing our attention to contemporary instances of policing whiteness. For more on the idea of whiteness as a project or process rather than a solidified identity, see the blog-post Whiteness is a Project. To cite: Antrosio, Jason. 2018. “Becoming White, Policing Whiteness.” Living Anthropologically website, https://www.livinganthropologically.com/becoming-white-policing-whiteness/. First posted 29 May 2018. Revised 29 September 2018.